This parish contains some very special natural attributes that are extremely important not just at a county scale but also on a national scale. 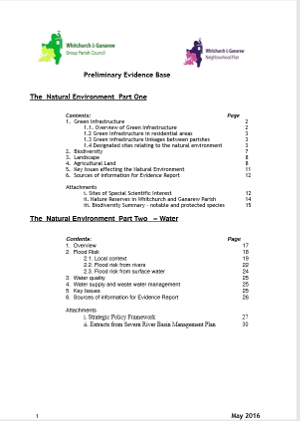 The Natural Environment Theme report can be viewed or downloaded here (click on the image below). It proposes some key issues for consideration in any future development proposals arising from the Neighbourhood plan.